Having trouble determining when to change your fry oil? Customers complaining that your fried foods taste a little off? Oil Does Not Last Forever. Even with the use of a filtering systems and Frypowder, oil does not last forever. 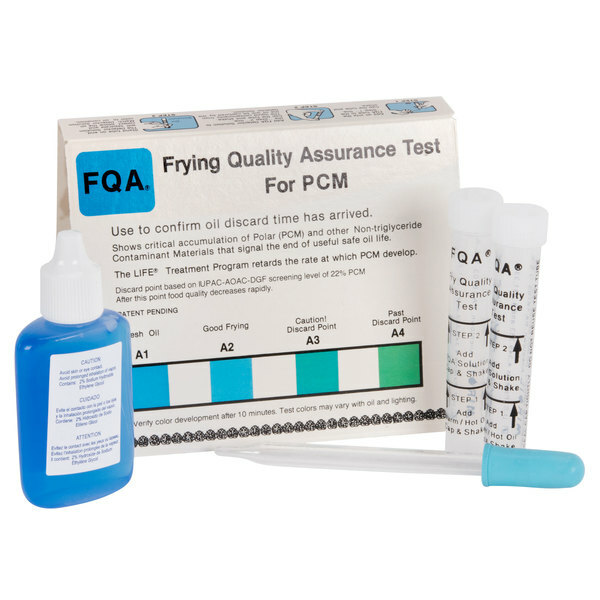 Take the guess work out of changing your fryer oil with MirOil FQA 12PCM fry quality assurance test strips! As your fryer oil breakdowns, particles known as polar substances start to build up. Once the concentration of polar substances exceeds 15%, your fryer will stop cooking products as thoroughly, increasing the risk of serving under-cooked food. The buildup of polar substances in your fryer oil also affects the overall appearance and flavor of your fried foods. Thanks to MirOil FQA 12PCM frying oil test strips, you can monitor the level of polar substances in your oil and change your oil before customers start to complain. A simple, three step process and a color-coded scale on the box makes it easy to measure your results. Step 1 Place warm oil in tube up to the first line Step 2 Add FQA Detector Solution up to the second line Step 3 Place lid on tube and shake. Wait ten minutes. Step 4 Compare color of liquid in tube to the test chart on the box to determine the quality of your oil Please make sure to check out www.webstaurantstore.com for all of your oil filtration equipment and supplies. Thanks for shopping at the webstaurantstore!! 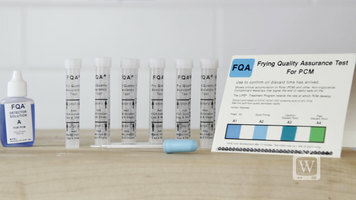 This quick video gives you a product overview as well as step-by-step instructions for using these MirOil FQA test strips to keep your fryer oil at peak performance. 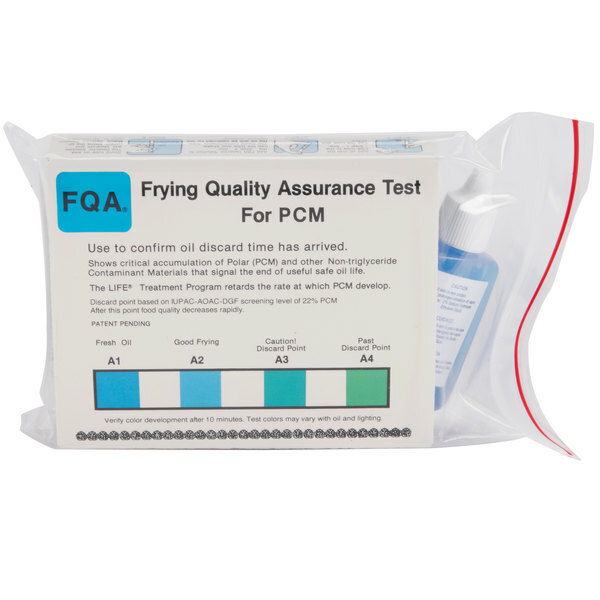 Take the guess work out of changing your fryer oil with the MirOil FQA 48PCM fry quality assurance test! As your fryer oil breakdowns, particles known as polar substances start to build up. Once the concentration of polar substances exceeds 15%, your fryer will stop cooking products as thoroughly, increasing the risk of serving under-cooked food. The build up of polar substances in your fryer oil also effects the overall appearance and flavor of your fried foods. Thanks to this MirOil FQA 48PCM frying oil test, you can monitor the level of polar substances in your oil and change your oil before customers start to complain. A simple, color-coded scale on the box makes it easy to measure your results. 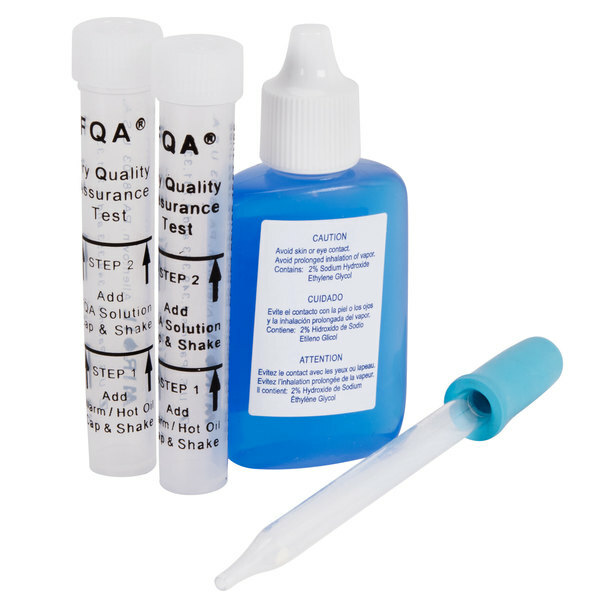 These tests should not be stored in an area with high humidity or in an area where they may be exposed to water or oil before use. 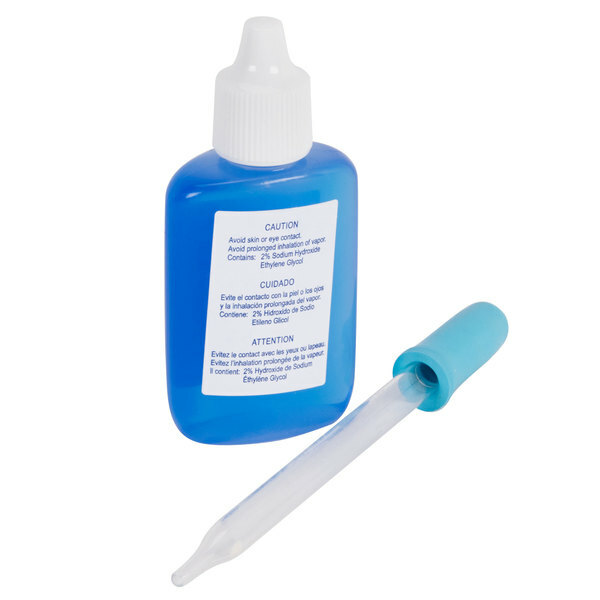 The MirOil frying oil test strips are great for testing for polar contaminant material. The strips are a great price and quality making us feel great about the quality of our fried foods. A great find. I added these testers to my new FryPowder fryer maintenance program and am truly surprised at how much better our fryer produces! Better quality and the customers noticed. No more guesswork! These are helpful in knowing how our oil is doing. We hate to throw oil out that is still good, but it is bad for business to use it past it's time. These help the cooks keep a better product coming out of the kitchen. This is great item, I can not see myself not having it deep in a pot of oil before I throw it away. I definitely give it A plus.